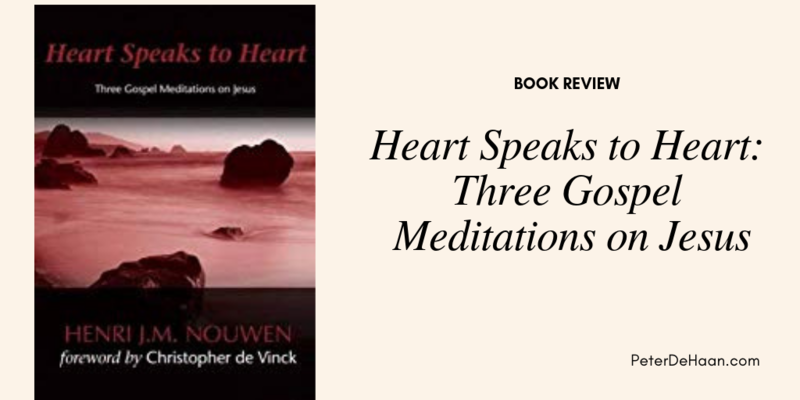 Heart Speaks to Heart is three prayers to Jesus from Henri Nouwen. The prayers were written in the days preceding Easter, with an eye towards Jesus’ death and resurrection. As such, the prayers are suitable for the Easter season, but they are also appropriate for any time. The three prayers are preceded by an introduction, explaining the events that led to their creation. They are followed by an epilogue, detailing how they are shared with the person who gently, yet insistently, prodded Henri to pursue this journey of heart to heart prayer.